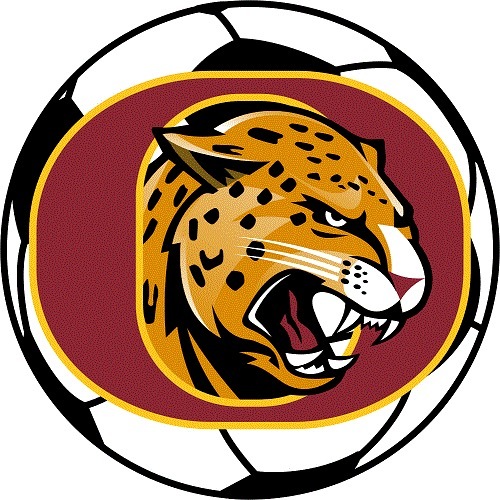 Sam Nieves provided the game’s only goal as Ontario (11-4, 1-0) defeated Chaffey, 1-0, in the Mt. Baldy League opener. After finishing the 2014-15 season at 1-9 in league play, the win against the Tigers is yet another stepping stone to what has already appeared to be a turnaround season for the program. Chaffey has won the last six meetings against the Jaguars, including last season’s league finale that end at 3-2 in overtime. Goalkeeper Andrea Banuelos shutout the Tigers’ scoring attack at the net with six saves including a second half penalty kick. Ontario will continue league play on Wednesday at 3:15 p.m. against Colony. ARROWHEAD CHRISTIAN ACADEMY 12, ONTARIO CHRISTIAN 6 >> The Eagles’ Kendall Bollock swept her singles competition in Ambassador League play against the Knights (0-8, 0-4). Kayla Dennis won two matches against Eagles. Arrowhead Christian Academy will play at 3:15 p.m. today against Aquinas. Ontario Christian will play at 3:15 p.m. today against Woodcrest Christian. It was a surprise and Ontario assistant coach Joe Szczepanski was told just to go to midfield before the game vs. Bloomington. He soon found out his son Justin, a 2013 Alta Loma HS grad had returned home from a stint in the Army in Korea, surprising his father. He hadn’t been home since Christmas and will be back for two weeks. Earlier this week veteran coach John Kusleika was appointed head coach at Ontario High School. If anyone can turn the Jaguars around, he’s the guy. 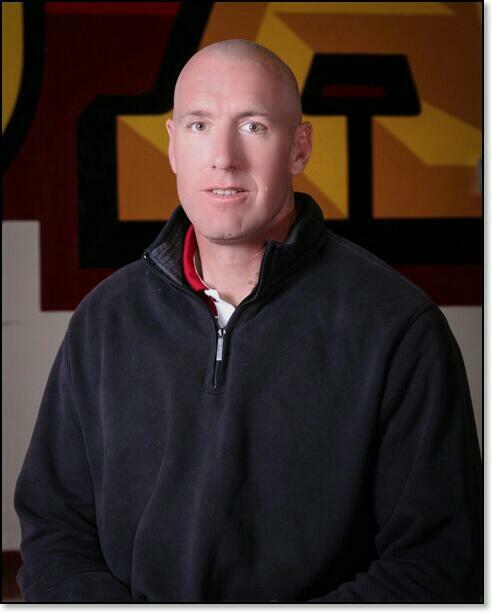 Most recently he served as offensive coordinator for long time friend Kurt Bruich at Redlands East Valley. He also served as an assistant at Rancho Cucamonga, as well as at the University of La Verne since his most noteworthy stint as head coach at Alta Loma High school. What he did at Alta Loma was impressive. In seven years directing the Braves Kuslieka’s teams were 37-36-1 with four playoff appearances. They haven’t come close to sniffing the playoffs since then. Yep, it’s been awhile since the school won a Baseline League game – 2008 to be exact. But his teams won league games each season. Most would say the Ontario job isn’t a good one. The track record in football hasn’t been good for awhile. Ron Stocking, who started last season as head coach, wasn’t on staff at the school. And Kusleika won’t be either, at least for now. He teaches at Los Osos. That presents an obstacle in itself. I always considered him a good coach who makes the most and does a lot with a little. This will be a true test! Ontario High School is in the process of selecting a new head football coach. Athletic Director Ryan Alvarez, who took the job on an interim basis after Ron Stocking stepped down three games into last season, decided not to seek the job on a permanent basis because of the workload already involved with that job. Alvarez said the school will be interviewing three in district candidates on Monday. After those interviews a decision will be made on whether or not it needs to be advertised outside. The Don Lugo High School volleyball team has had to forfeit three Mt. Baldy League wins, athletic director Joe Marcos confirmed. So instead of being 8-5 overall and 6-0 in league play, the Conquistadores are 5-8 and 3-3 heading into today’s match against Chaffey. Don Lugo has never won a league title in volleyball. It is ranked No. 5 in Division 4-AA. Marcos said the forfeits are the result of a paperwork error that is the result of incorrect information forwarded with the players’ transcript. The matter has been cleared up and the player, a transfer from Ontario, is eligible to play again. It’s been quite a week for the Ontario High School football team. Coach Ron Stocking stepped down on Saturday a day after his team won its Mt. Baldy opener against Garey. Athletic director Ryan Alvarez stepped in to try and pick up where Stocking, who got a more financially stable job not in the education field, had left off. Alvarez admitted Monday was a little hectic but things started settling down on Tuesday. He said his players were adapting as well as can be expected. Alvarez said he won’t change anything when it comes to strategy or game plan and he’ll rely heavily on offensive coordinator Bo Hust and defensive coordinator James Hutch who had worked with Stocking. “They’re both great young coaches. If it’s not broke, don’t fix it,” he said. Unfortunately the change comes right before what may be the toughest game of the season – against defending Mt. Baldy champion Chino. And the Jaguars will be without quarterback Edgar Murillo who is still nursing a knee injury. Sophomore Cameron Poe will fill in. No doubt the team’s tenacity is being tested. Ontario High School is the first school to change football coaches this season as Ron Stocking has resigned. Stocking, 30, got a job offer in another sector that was too good to pass up. The team was told on Saturday. Stocking said the players were understanding and supportive of his decision which made it that much more difficult. Athletic director Ryan Alvarez, who has coached in the lower levels of the program the last several years, will serve as interim coach the remainder of the season. He says he’ll rely heavily on his offensive and defensive coordinators. Stocking was not on staff at the school, something pretty much unheard of for a head football coach at any school nowadays. He said he was hoping a teaching position would open up but that never happened. One really can’t blame him if a job came up that made for better financial stability for his family. The Jaguars were 5-15 in his two previous years and were 1-4 this season, that win coming Friday when they opened Mt. Baldy League play with a win over Garey. Being new to the prep beat I have had limited dealings with Stocking but he seemed like a good guy who genuinely cared about his players. I wrote a feature on one the Jaguar players earlier this month, senior Christian Beltran. Beltran spoke very highly of Stocking and his entire coaching staff so I can go on that. Next up for Ontario is a showdown with defending league champion Chino this Friday.